Prices are as advertised here, our terms and condtions apply these can be emailed to you if required. 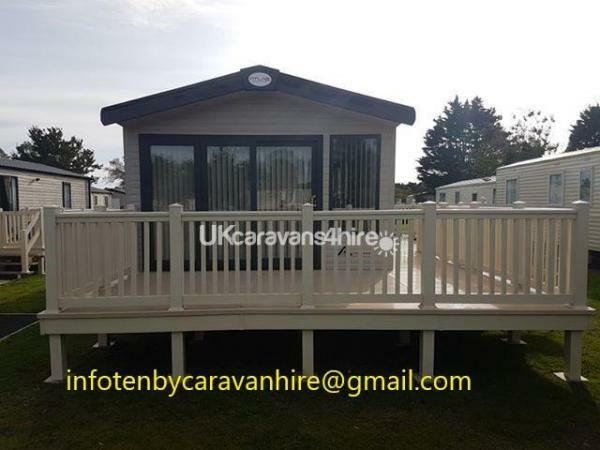 Our Atlas Image 5 Caravan, purchased brand new for the 2018 season, is available for private hire at Kiln Park, Tenby, ideally situated within short travelling distance of popular tourist attractions including Folly Farm adventure park and zoo, Oakwood Theme Park, Heatherton World Of Adventures, Bluestone Blue Lagoon, Dinosaur Park, Pembroke Castle and Barafundle Bay. The Caravan is located just a short walk from the main shop and site reception and features an en suite master bedroom with a King size bed and walk in wardrobe, Two twin bedrooms one which has 3ft wide beds for extra comfort, central heating & double glazing, wrap around decking which is gated with both step and ramp access as well as all the standard features you would expect such as gas cooker & kitchen appliances, dinner sets and large LCD television. For your safety the caravan is fitted with fire extinguishers, smoke alarm and carbon monoxide detector. 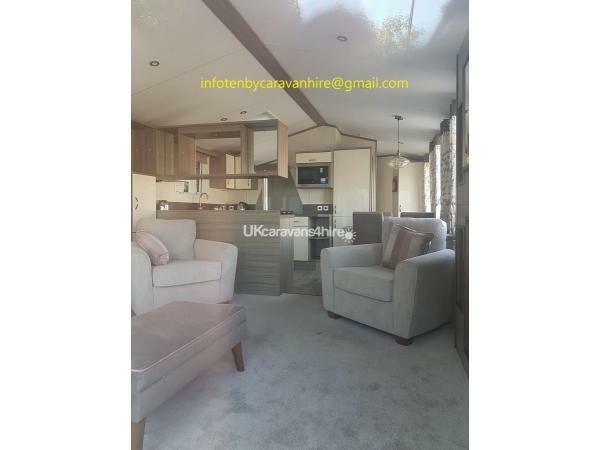 This privately owned caravan comes with mains gas and electric. As extras we also include bedding for the bedrooms, a patio table set with chairs and parasol. Unfortunately we do not take bookings from all-male or all-female groups. Availability: Please be aware that the availability calendar displayed on this site is not always up to date and is not used by us to keep track of our bookings, this is done in our bookings diary, we update the availability calendar when convenient, some bookings may not appear on the calendar for some time, rest assured however that all bookings are in our system. To secure booking we request an initial upfront non refundable deposit fee of £100. The remaining cost of the booking must be paid in full at least six weeks prior to date of hire to prevent cancellation of the booking. Additional Info: Heated Outdoor Pool, Entertainment Venue, Sports activities and Children's Play Park. 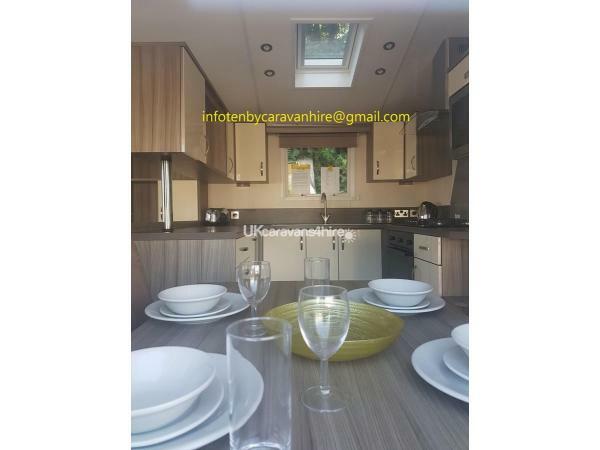 Lovely clean caravan in excellent location, close to all amenities, owners are really lovely, this was our second year at this property and would definitely recommend. Lovely warm welcome on arrival. Beautiful clean caravan with everything needed for a week away from home. Perfect location as both outside seating areas had sun all day long. Will definatley book again.